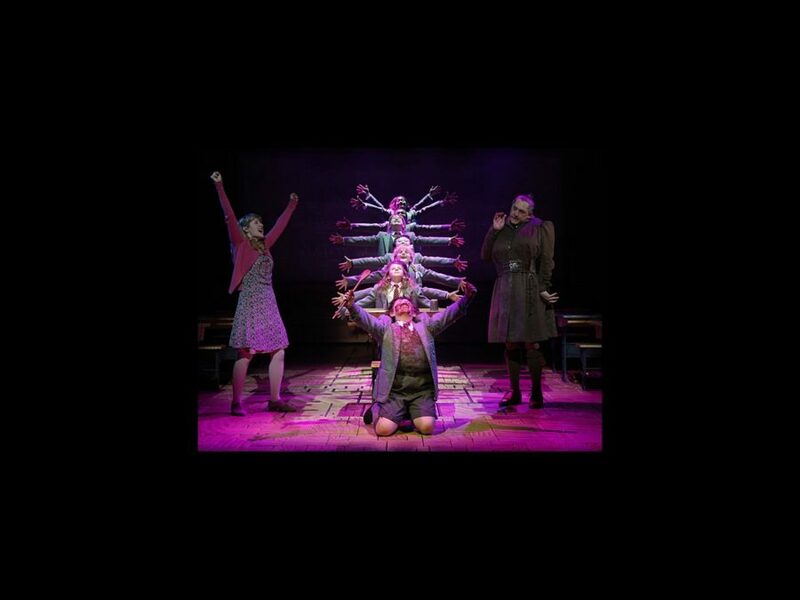 Full casting has been announced for the national tour of Matilda The Musical, which will open on June 7 at the Ahmanson Theatre in Los Angeles before continuing to cities across the country. The three girls sharing the title role will be Gabby Gutierrez, Mia Sinclair Jenness and Mabel Tyler. In addition to Gutierrez, Jenness and Tyler, the cast of Matilda The Musical features Jennifer Blood (A Gentleman's Guide to Love & Murder) as Miss Honey, Bryce Ryness (First Date) as Miss Trunchbull, Quinn Mattfeld (Pal Joey) as Mr. Wormwood and Cassie Silva (Matilda The Musical) as Mrs. Wormwood. Matilda The Musical is the story of an extraordinary girl who dreams of a better life. Armed with a vivid imagination and a sharp mind, Matilda dares to take a stand and change her destiny. Based on the beloved novel by Roald Dahl, the musical is directed by Tony Award winner Matthew Warchus, who helms this production with a book by Tony Award-winning playwright Dennis Kelly and music and lyrics by Australian comedian, musician and composer Tim Minchin. The ensemble includes Cal Alexander, Kayla Amistad, Cameron Burke, Brittany Conigatti, Michael Fatica, Wesley Faucher, John Michael Fiumara, Camden Gonzales, Shonica Gooden, Evan Gray, Cassidy Hagel, Meliki Hurd, Michael Jablonski, Luke Kolbe Mannikus, Stephanie Martignetti, Megan McGuff, Ora Jones, Justin Packard, Serena Quadrato, Aristotle Rock, Jaquez Andre Sims, Ian Michael Stuart, Danny Tieger, Kaci Walfall, Natalie Wisdom and Darius Wright. The production features sets and costumes by Tony Award winner Rob Howell, choreography by Tony Award winner Peter Darling, orchestrations by Christopher Nightingale, lighting by Tony Award winner Hugh Vanstone and sound by Simon Baker.